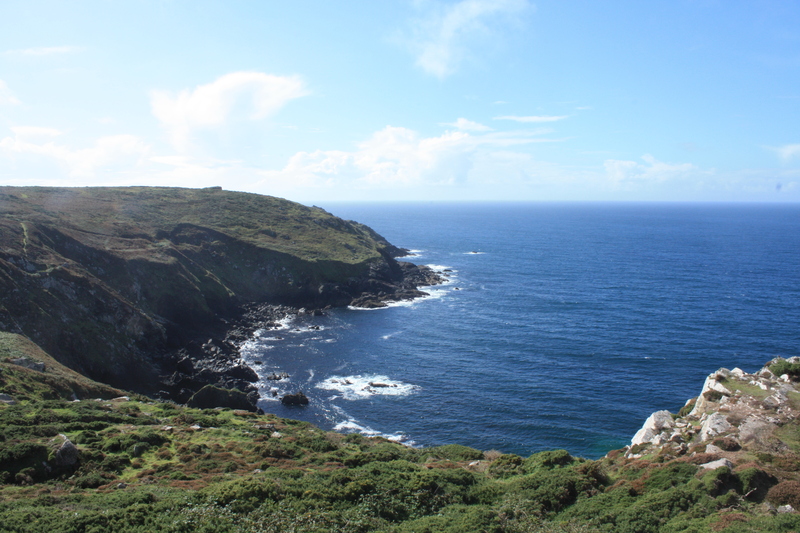 What I came up with was a list of historical sites dotting around the Penwith region of Cornwall, the idea being we would drive to each one, view them, take photos and move on to the next place. 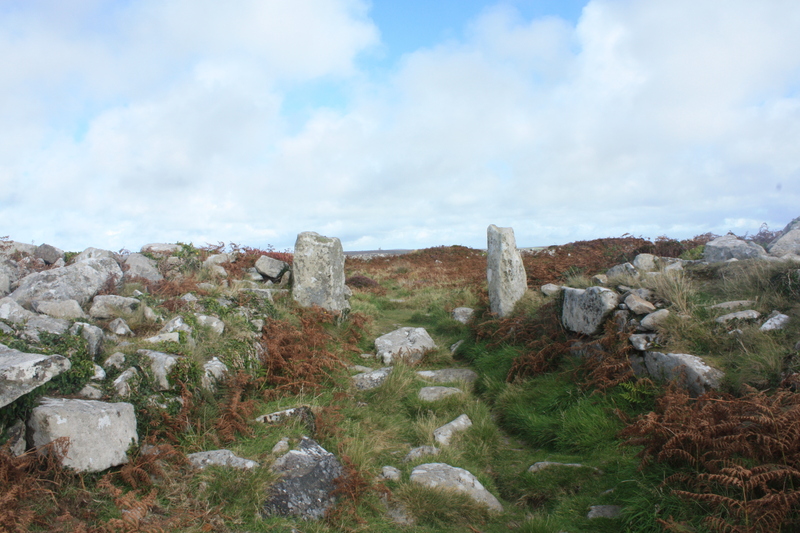 I was a bit spoiled for choice as Penwith is home to the largest collection of Neolithic sites in Europe. Eventually though I came up with a little list of sites that I’d deemed interesting and easy to reach. 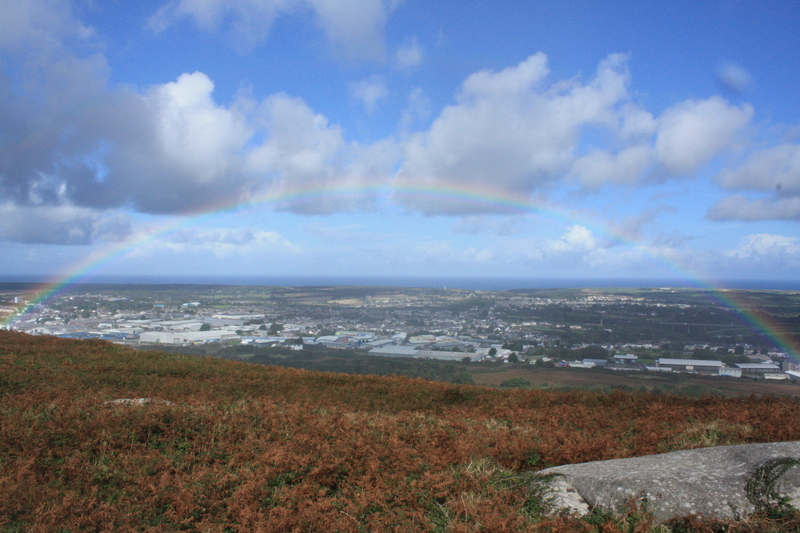 First on the list was Carn Brea, a hilltop site above the town of Redruth. 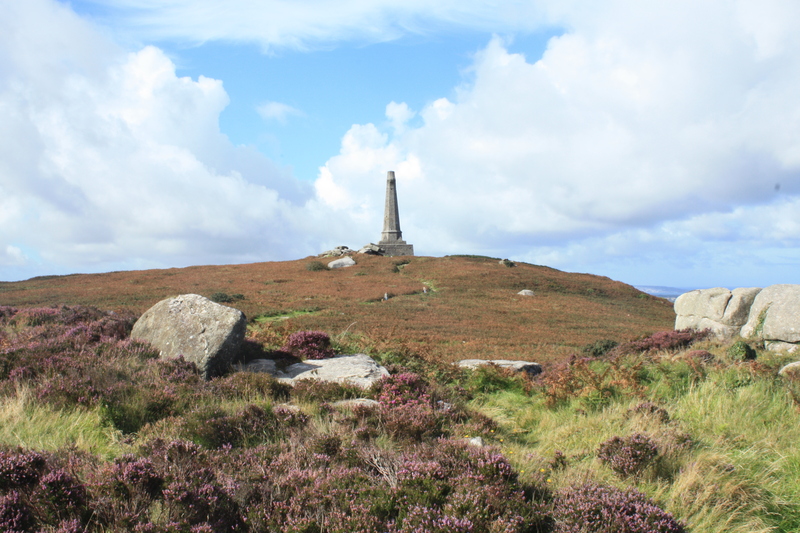 Once home to an Iron Age site, now a folly and a huge stone monument adorn the summit. The folly was once a chapel built in the 1300’s, however in the 19th century it was remade into a hunting lodge by the wealthy Bassel family. A 90ft Celtic Cross dedicated to the Bassel family themselves marks the highest point of the hill. 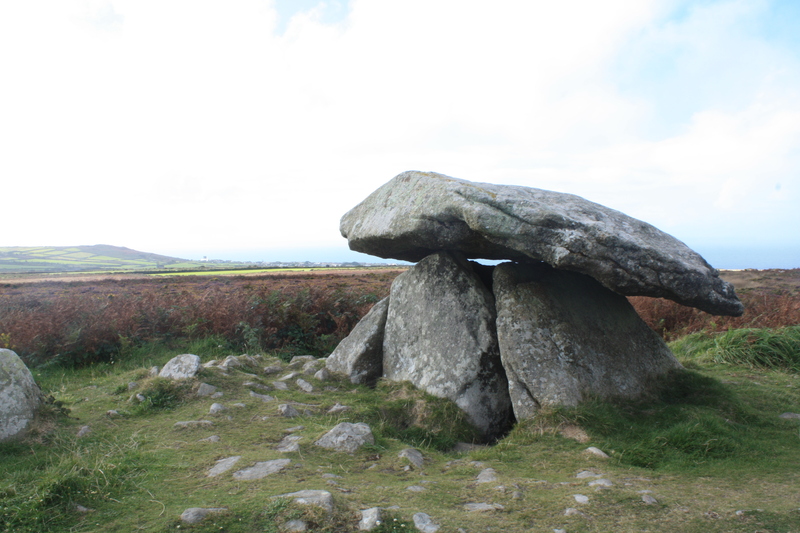 From there we headed up some of Cornwall’s many tiny and confusing single track lanes to arrive at our next destination, the Lanyon Quoit. Although older than even the Great Pyramids of Egypt, the purpose of this site remains a mystery, though since it is a quoit it obviously has some connection to burials. 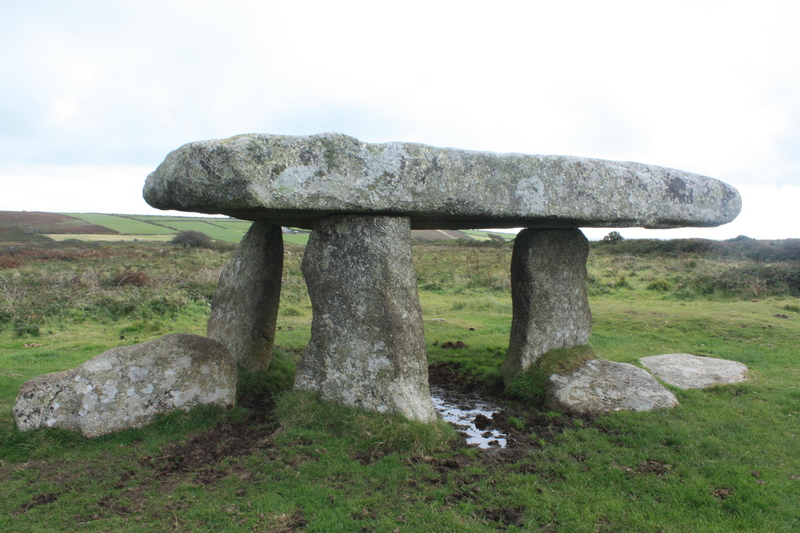 Identifying its purpose was undoubtedly made more difficult when the site collapsed during a storm in 1815, well-meaning locals then re-erected the stones but placed them in completely different positions. 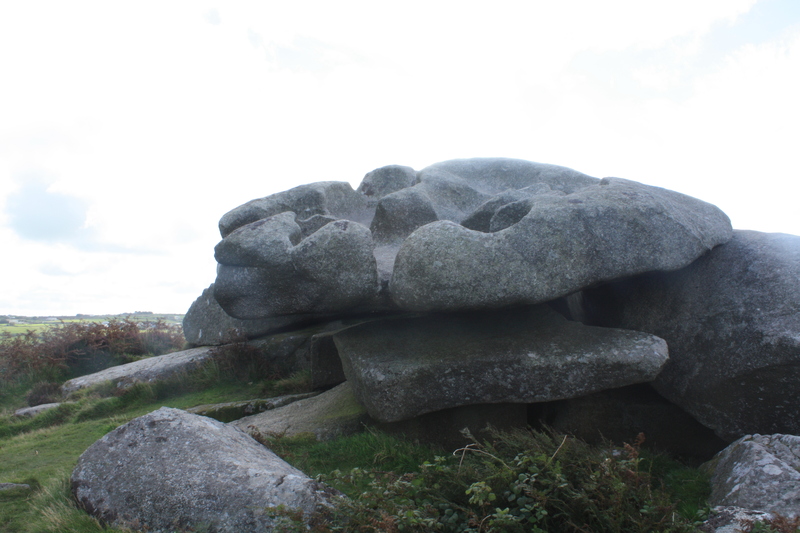 Once, it was said, a man could ride a horse under the stone top, however now the top stands only 15 metres from the ground and one support stone was broken during the storm, so it is only supported by three stones now. We then drifted into St Just and brought some pasties for our lunch before driving down to the Crown Mines to eat them. As we pulled into the car park we noticed a large film crew running around, stuntmen riding up and down on horses and locals wearing 17th century attire. They were of course filming for the BBC’s latest hit drama Poldark and my mum’s latest obsession. So after eating our lunch above the cliffs we strolled down to take a look at the film sets. 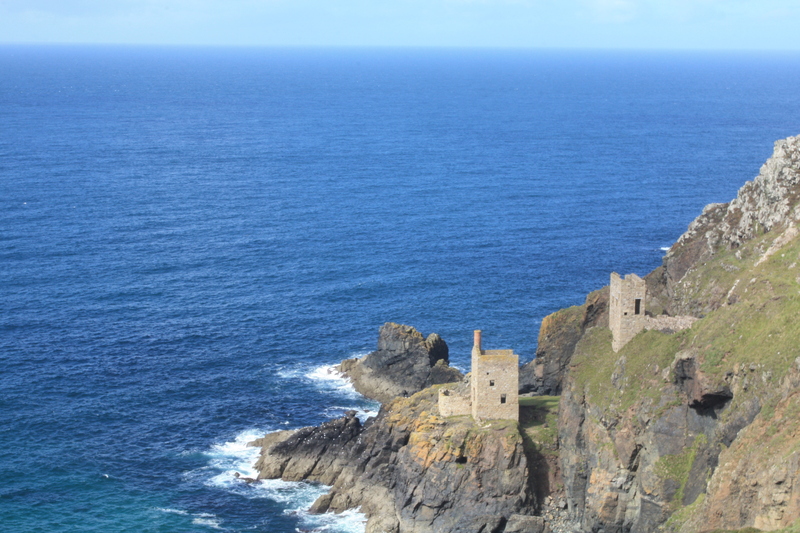 Well..my mum did, my dad and I were more interested in the next place on my list, Wheal Owles. 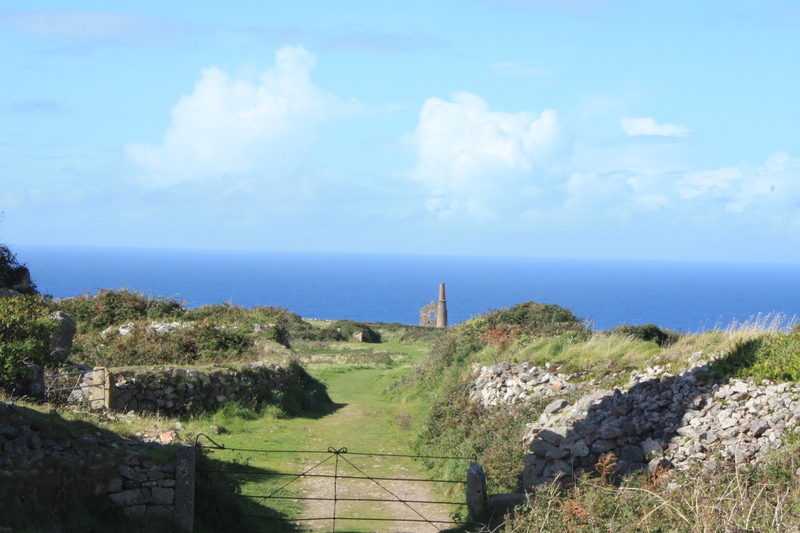 Wheal Owles was the site for one of Conrwall’s largest mining disasters. In 1893 miners were working under sea level, some 400 feet below, deep within the mine when they accidentally dug into a flooded tunnel from an older disused mine. The sea came rushing in. By the end some 19 men and a tunnel boy were drowned, their bodies, to this day, are uncovered and remain deep within those sunken tunnels. 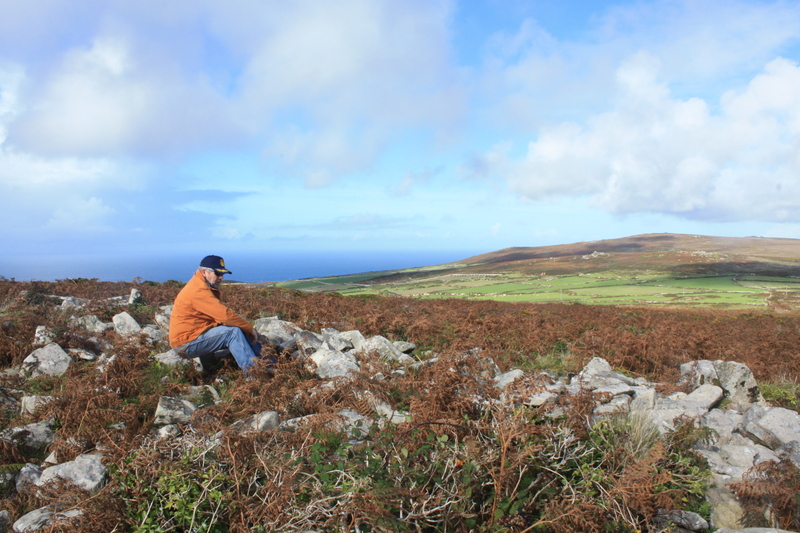 We searched high and low for the infamous mine and eventually, a Poldark extra, dressed for his part, pointed us directly at the site. Sadly though it was surrounded by film crews and was closed off to public access. Leaving the tin mines we drove back up the Penwith Moors in search of the fabled Men-an-Tol, a small standing stone, located high up on the moors. 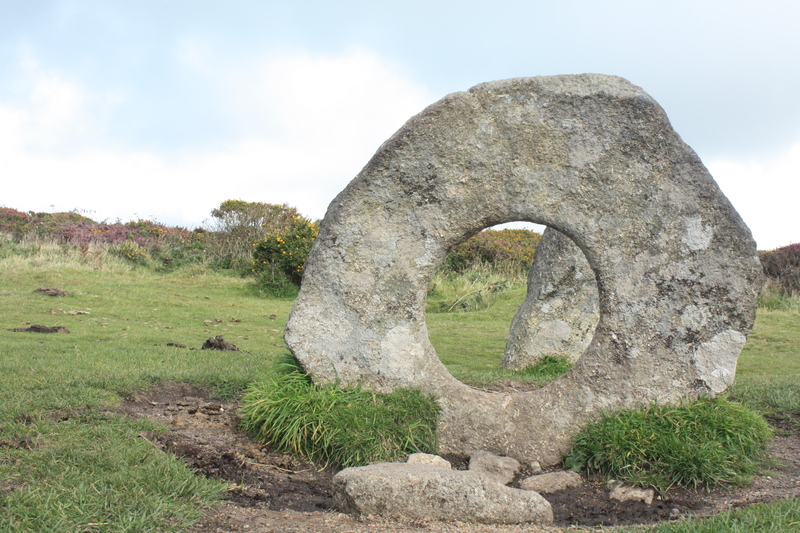 The Cornish translation for Men-an-Tol is ‘the hole stone‘ and that pretty much sums up the site. 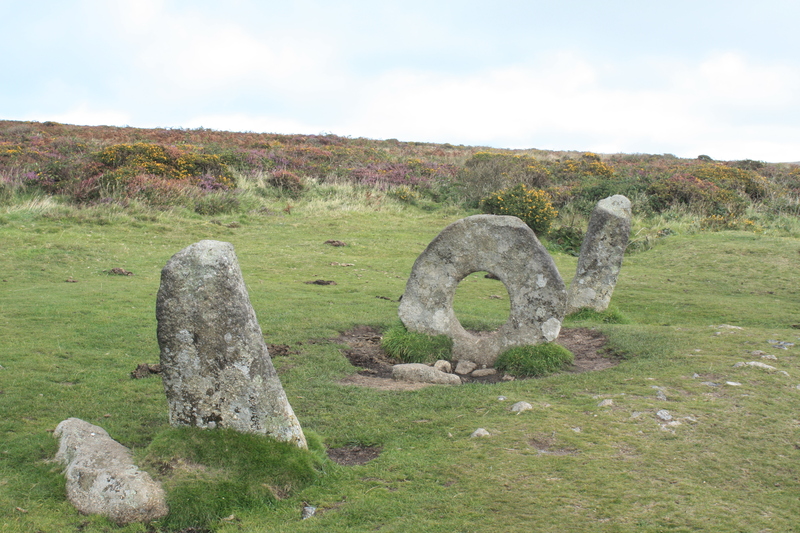 It’s origin is unknown, chances are it was once part of a larger stone circle or a tomb but has since been moved by farmers who owned the land. However it has a strong presence in local folklore, with its abilities ranging from the power to increase female fertility, to being capable of curing rickets in children. A pixie is also said to guard the site, but he made no appearance today. Legend states that if a woman is passed seven times through the hole in the stone on a full moon, that woman will soon become pregnant. We then headed to our final site, Chum Castle, an ancient hill fort located on the Chum Downs. Parking at a nearby farm, we headed up the hill, to the site which graced the hilltop. 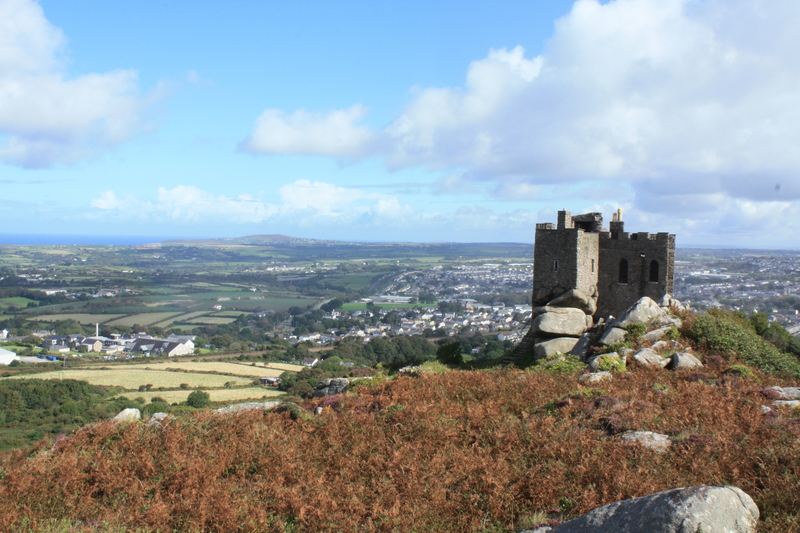 From here we could see most of Penwith, from the Crown Mines and the north coast all the way down to Penzance Bay in the south. The hill fort itself dates only to 300AD, but was likely built on a much earlier fort, due to the existence of a nearby ancient quoit. The site is still well-preserved, with a 3 metre high wall stretching all away around the site, making for a nice wind shelter. After a long day we simply enjoyed sitting on these old stones, basking in the sunlight, before the inevitable journey home. 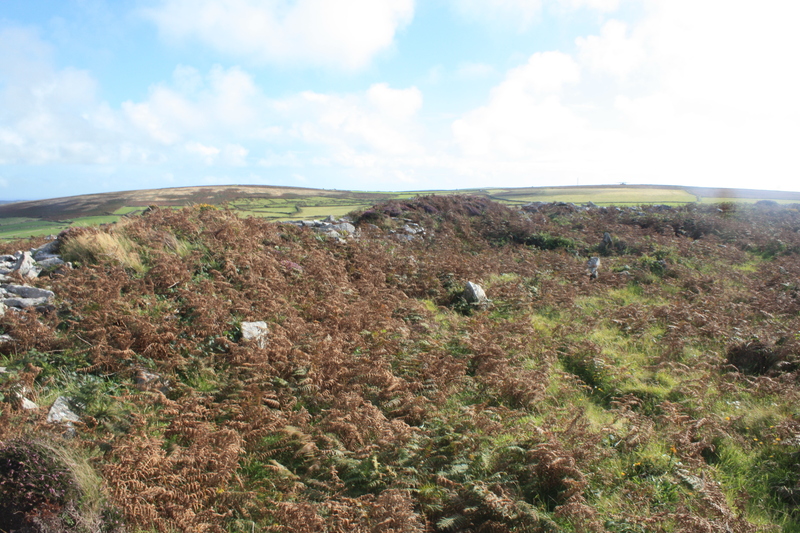 Before having a look at an OS map of Penwith, I never realized just how cramped full it was of Neolithic sites. Unfortunately I wasn’t able to see everything that was on my list today, but the more I looked the more I wanted to see. 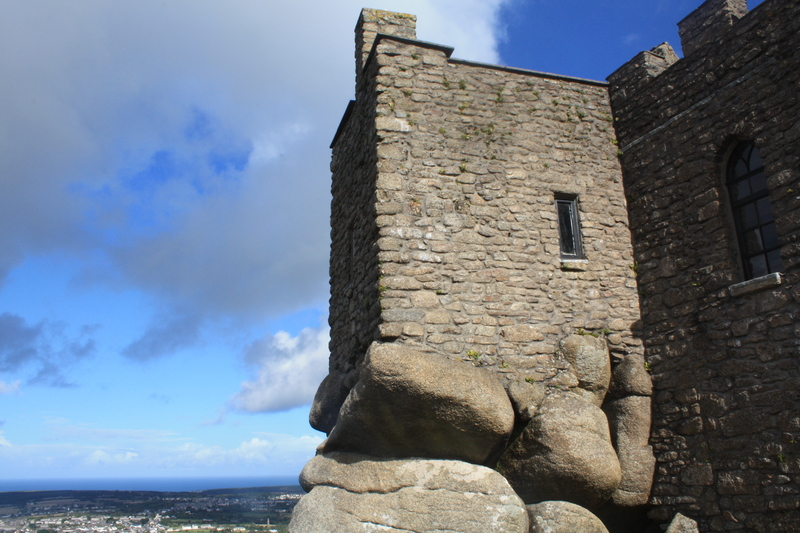 Perhaps exploring the historical sites on Penwith could be the bases for a future holiday in Cornwall. I’m a rock lover so enjoyed these images. The first picture of the rainbow is beautiful. I actually have plans to walk along the coastline of Cornwall in a couple of years time. It will be very different to where I live in Australia. Thanks for sharing more beautiful scenery. Thanks for a fascinating post along with great photos. It brought back happy memories of holidays in Cornwall.